The key elements for the effective management and delivery of safety are co-ordination, agreement and proper response by those authorities with responsibilities for the equipment. The function of the Project Safety Committee (PSC) is to provide a forum through which all those with safety responsibilities can ensure effective co-ordination on safety issues, and make decisions after consultation with those holding relevant knowledge and authority. The MOD PSC may be supported by Panels, Sub-Committees or Working Groups with the appropriate level of Subject Matter Expertise and defined Terms of Reference to address specific safety issues. Although contractors will be members of the MOD PSC, they may also need to form and chair their own Safety Committee. Typically this might be necessary on more complex projects where there are multiple sub-contractors. MOD will be represented on the Contractor’s Safety Committee to ensure that there is an adequate understanding of the in-service environment and the user’s needs. If there are both MOD and Contractor Safety Committees, then they must each have clear terms of reference and their inter-relationship must be well defined. Provides, through records of its meetings, an audit trail showing that suitable advice has been sought and that safety management decisions were well founded. Other representatives that may be required to participate should include contractors, consultants, subject matter experts, safety sustainable development & continuity, operators, users and maintainers of the equipment. These should also include reliability and quality managers, other government departments or representatives of other nation states governments or defence departments. More information on Safety Committee membership has been provided in the Further Guidance section of this document- example Terms of Reference for a PSC. Further advice is available from QSEP. The Team Leader, who will hold a Letter of Delegation from the relevant Chief Of Materiel, should chair the Committee(s). Annex B of the Letter of Delegation will detail the authority for the Team Leader to carry out the safety management tasks on that programme. The Team Leader may appoint another competent member of the Delivery Team to chair the PSC. In this case, the responsibility placed with that individual should be formally recorded through a Letter of Delegation or terms of reference. Whilst chairing the PSC may be delegated, responsibility for signing the Safety Case Report (SCR) must be in accordance with ASEMS Part 1, Policy Clause 4.9. The quorate for a PSC can be expanded depending on the nature of the project. Details should be provided in the Project Safety Management Plan (SMP) or Terms of Reference. If there are insufficient attendees for the PSC to be declared quorate, the meeting can still proceed with decisions being noted and only implemented once agreement has been received from the qorum ex-committee. The PSC may meet regularly as a body, or its work may be included as a permanent item in another forum (in this instance care should be taken that all relevant parties are included), or simply through written communications. The key principles are to ensure that all relevant authorities are consulted, actions are agreed and properly allocated, and a record is kept of proceedings. A PSC can either be established for a single equipment, or a family of variants of an equipment. Smaller projects may choose to integrate the PSC activities with other meetings. As a minimum the discussion of safety issues should remain as a unique item on meeting agendas. Depending on the complexity of the project, the Team Leader may establish one or more working groups that support the PSC by assessing hazards or reviewing the integrity of specific systems. Integrity working groups could consider structure, propulsion or other electrical or mechanical systems, reporting significant issues to the PSC. Where a number of similar equipments are under management in a single Delivery Team, consideration should be given to establishing a top level Safety Management Committee (SMC) to set out and agree the safety management policy and strategy for those projects. The strategy would detail the formation of PSCs for individual equipment, or groups of similar equipment e.g. radio systems, or support vehicles rather than a type of radio or vehicle. The SMC will monitor and control the activities of the individual PSCs, which will operate to their own SMP's. Structures can be tailored to suit individual circumstances. Terms of Reference, including membership, for a SMC should be similar to that of a Project Safety Committee. The safety management policy and strategy for those projects will be recorded in a Safety Management System document, similar to a Safety Management Plan. 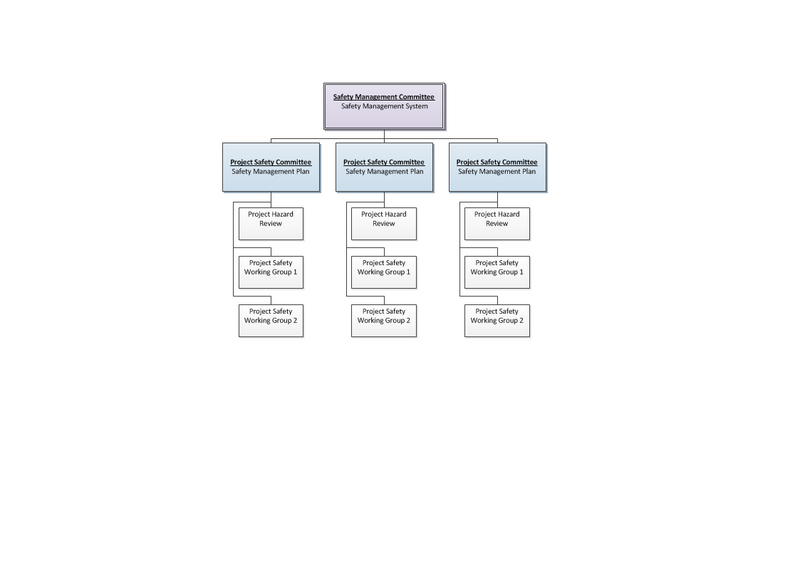 Figure 2.1 shows an example of a Safety Committee structure, together with the management documents that sit at the relevant committee level. Figure 2.1 represents an example of a Safety Committee structure, with supporting working groups and hazard reviews in place. Teams can modify the structure of the Safety Committees to suit the specific organisation of the programme. The emphasis should be on establishing a Safety Committee with suitable chairmanship and ToR's. It is the responsibility of the Team Leader to establish, chair and ensure the correct functioning of the PSC. This includes making sure that the correct authorities are members of the PSC and that it meets with suitable frequency, given the state of the safety programme. The Team Leader may appoint another competent member of the MOD team to chair the PSC. In this case, the responsibility for that individual should be formally recorded through a Letter of Delegation or Terms of Reference. Delivery Teams will complete the procedure, in conjunction with advice and information from members of the PSC. The PSC should be established during the Concept phase of a project by the Customer, or Requirements manager, through the Capability Working Group, in conjunction with the relevant Team Leader, to set out the safety requirements for the equipment. The required frequency of the PSC meetings depends on various factors including the stage of the project, the complexity of the system and whether the PSC is supported by Working Groups or has complete responsibility. Meetings will be required at greater frequency during periods of significant review and decision making, typically when project milestones are approaching. PSC meetings may occur less frequently during periods of stability, such as during the in-service phase, when fewer safety decisions are necessary. However, the PSC still has an important duty to provide oversight of the Safety Case and ensure that it remains valid and monitoring safety performance. This will include considering whether the system or its usage is changing, and seeking counter-evidence that shows the predicted level of safety performance is not being achieved in practice. Records of previous meetings of the Safety Committee. The advice given by members of the Safety Committee should include recommendations on whether a reviewed document (e.g. Safety Management Plan or Safety Case Report) should be authorised by the Team Leader. If authorisation is not recommended, then the reasons should be recorded. Where it is considered beneficial, a combined committee may be established for the safety and environmental management activities. It should be ensured that the programmes are aligned as far as possible and that data is shared where relevant. It is suggested that where there are separate safety and environmental committees, these meet consecutlively over a morning and afternoon – with membership and specialists attending as appropriate to each. The Project Safety Committee may cover groups of similar projects within a Delivery Team where common activities are required, although separate committees are envisaged for very large, high risk or diverse projects within a Delivery Team. The Project Safety Committee may meet regularly as a body, or its work may be included as a permanent item in another forum (in this instance care should be taken that all relevant parties are included), or simply through written communications. This last option is less desirable because there is no opportunity for direct interaction. The Ordnance Safety Review Panel (OSRP), Release To Service and Naval Authority Certification procedures are activities that are carried out independent of the Project Safety Committee. The Project Safety Committee may include updates from such assurance activities. The Project Safety Committee exists to provide information and specialist advice to those who have specific responsibility for Safety Management on an Acquisition Project, so that they can reach informed decisions. The Team Leader with safety delegation from the Chief Of Materiel is required to seek and consider relevant advice through the Project Safety Committee, but remains the decision maker. Whilst not all members of the Project Safety Committee need have specific competence and experience in Safety Management, it is essential that some committee members do have this competence and are consulted with. Those with Safety Management competence would typically include the Project Safety Manager, the Independent Safety Auditor (if appointed) and the Team Leader. The Project Safety Manager should have system safety competence to practitioner level, and the Team Leader to supervised practitioner level, as a minimum. If the Safety Committee is not established early in the acquisition life cycle, then some of the stakeholders involved may not be identified and their needs may not be addressed adequately in the development of the Safety Requirements or the production of the Safety Plan. This could also occur if the Safety Committee is established with an incomplete membership. If the Safety Committee do not review and approve the safety tasks described in the Safety Plan, then the activities may be inappropriate to deliver the required levels of safety performance and safety assurance. If the Safety Committee do not review and approve the Safety Management System described in the Safety Plan, then they may not identify areas of disagreement concerning responsibilities for safety. If the Safety Committee does not meet with sufficient frequency, then they may not identify in a timely manner, any issues with the safety programme. This could result in impacts on project time and cost. If the Safety Committee attempts to control the detail design solutions, rather than relying on the contractor’s Project Safety Committee and design function, then MOD will take responsibility from the designer. MOD staff will be represented on the contractor’s Project Safety Committee and shall exercise influence at that forum and through setting appropriate requirements. To provide a forum for monitoring and co-ordinating all safety management and risk reduction activities associated with the project to ensure effective levels of safety and provide an appraisal of the Safety Case. The Project Safety Committee reports to the Team Leader or in a larger Delivery Team to the Safety Management Committee. To operate a system for reviewing and monitoring safety performance and maintain the Safety Case.